Premium Setting Material: S925 Sterling Silver. Perfect polishing finish and fine side details. Hypoallergenic, it is an appropriate stud jewelry for sensitive ears. Ideal Gift Choice: Attached a Graceful jewelry gift box, Perfect gift for Mother\'s Day, Anniversary Day, Valentines Day and Birthday to Girlfriend, Wife, Sister and Mom or someone special. Design & Size: GAGAFEEL Stud earrings feature ❤ 6mm ❤heart shaped created dazzling Garnet. 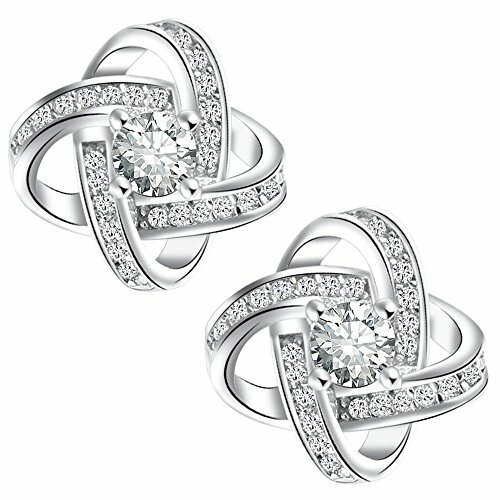 This striking jewelry piece is a dazzling winner, make it memorable! Add Charm: Jewelry has no value, but the jewels which can make women shining are priceless! Wearing elegant jewelry, add charm to youself!